When Origin Creative rebranded under their new name MMP, I took on the challenge of leading and rolling out the new brand across all their digital assets including a full UX redesign of their website. 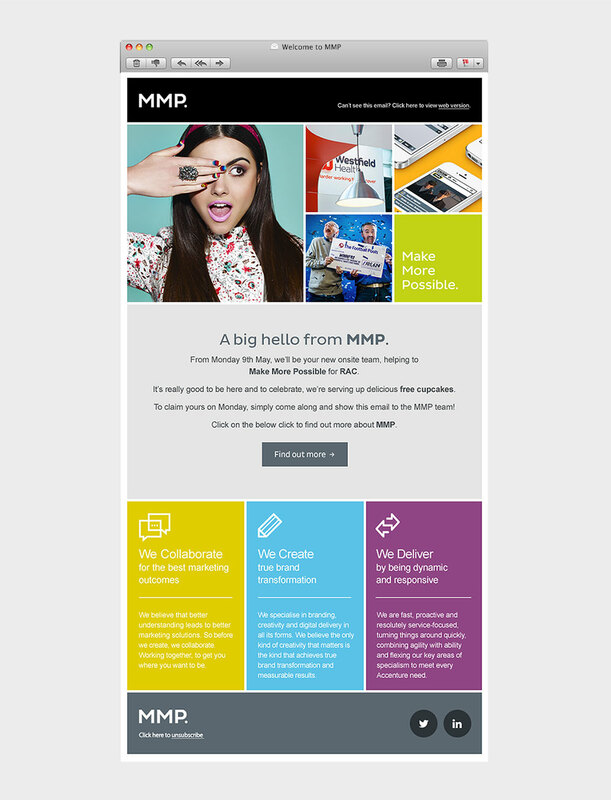 MMP is a multi-award winning, full-service creative agency with an impressive portfolio of clients including BBC, Superdrug, Manchester United and Accenture. We kicked off by devising a new content hierarchy. 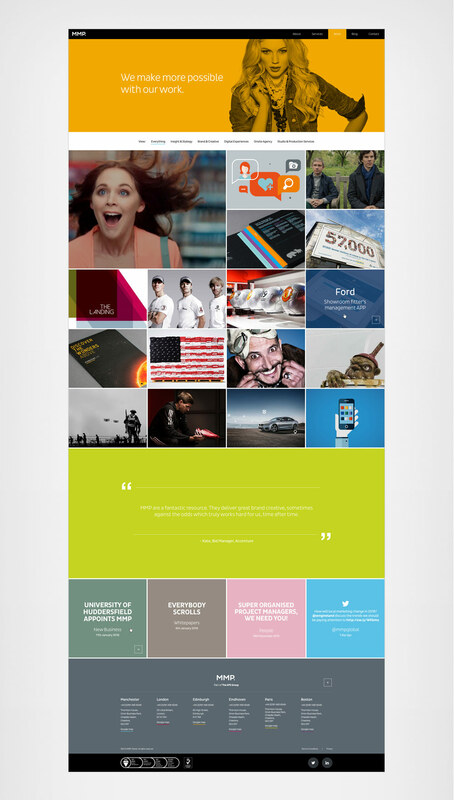 Using the brand’s new voice and positioning, we worked to establish MMP as ‘the go-to agency for global brands’. 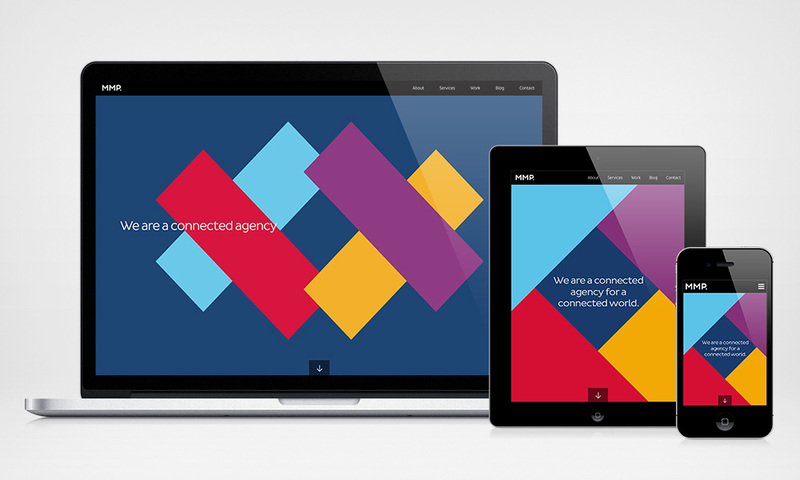 A considerable amount of time was spent designing the architecture and overall site UX to ensure a unified digital experience that would represent the agency’s many service offerings under a singular focus – a connected agency for a connected world. The new website present each case study in a visual, narrative and engaging way, boosting MMP’s impressive clients list and awards while showcasing the company’s vision and culture.